A is the start of the alphabet, but also the start of a beautiful thing--our newest resort & spa, Aulani. 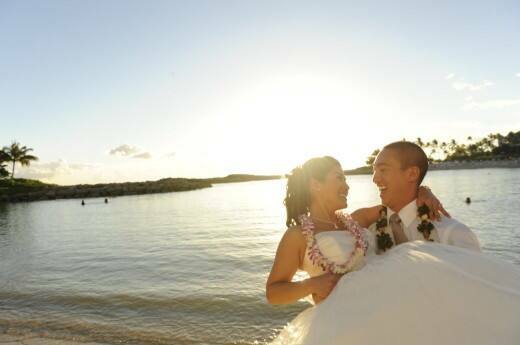 I'm thrilled to share that we're taking our twenty years of destination wedding planning experience to the islands of Hawaii. Here you can experience seamless service, world-class amenities and the one-stop-shopping experience you've come to expect from an event with Disney's Fairy Tale Weddings. Aulani, you had me at "Aloha"! Calling all grooms-to-be! 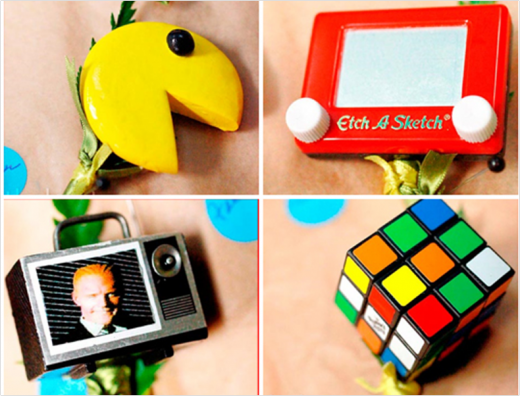 From Pac Man to traditional floral, boutonnieres are a chance for you to express your sense of style and personality. I love when grooms get creative with what is pinned on their suit jacket- especially if it has special meaning. One of the hottest trends this season combines two of my favorite things: bright colors & sweet treats! 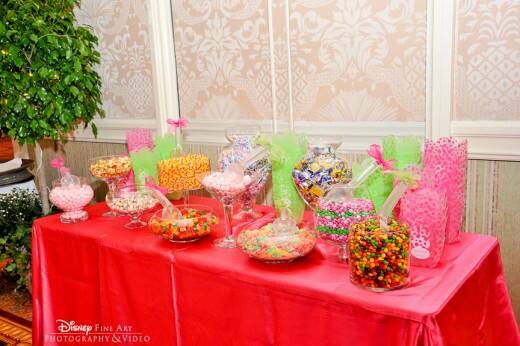 I love candy buffets because they are an interactive station that allows your guests to create a truly unique and personal dessert. And don't forget- patterned Chinese takeout boxes, clear bags adorned with a fun bow or personalized containers create the perfect finishing touch for this chic and yummy buffet. Boutonniere images courtesy of The Knot.